HAVANA – For young people in Cuba, like 19-year-old computer science student Julien Martos Farinos, the emerging private sector presents the greatest opportunities for professional growth and wealth after six decades of Communist Party rule. As President Raul Castro prepares to step down this year, a central question facing his still unidentified successor is how to spur a moribund economy that fails to provide basic sustenance to the population and continues to hemorrhage young workers. More than a million Cubans have departed for the United States since 1960. The government is struggling to find ways to the most talented people at home – and that means providing economic outlets. Martos would not be the first in his family to work in the private sector. Both of his parents are former government workers who left their jobs to work in restaurants. He grew up and still lives in Vedado, one of the most expensive neighborhoods in Cuba. He learned to speak English five years ago from a teacher who lived in London for 15 years. Martos hangs out in between classes at the University of Havana. Caroline Tanner/MEDILL. Several years ago, the Cuban government opened the private sector while maintaining an inconsistent and unpredictable relationship with it, variously implementing restrictions and openings as time went on. 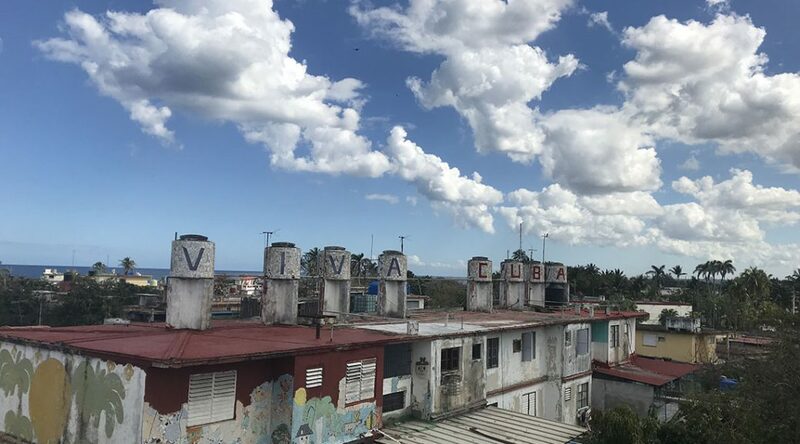 When Castro further loosened regulations in recent years, many young people transitioned to work in the tourism industry, buoyed by an influx of American travelers who came to the island under travel rules eased by the Obama administration. The private sector remains more lucrative than the state-run government jobs, which was previously the only option for employment in Cuba. According to a 2017 study conducted by Cuba’s National Office of Statistics and Information, the average salary for Cubans in government jobs is equivalent to $30 per month. Nearly 600,000 Cubans have joined the private sector since Castro’s expansion of the workforce, according to Reuters. As of December 2017, the private sector comprised approximately 12 percent of Cuban employment in a one-party state of 11.5 million people. For a variety of young Cubans in the private sector, the question of its viability long-term persists. Many wonder whether it will provide an opportunity to follow their passions and work in industries based on what they’ve studied, with a corresponding private sector salary. East Havana resident Raiko Valdes, 31, works as a program coordinator at the Council on International Educational Exchange (CIEE), an NGO that facilitates international educational exchanges. Outside of students, he frequently interacts with foreign visitors as a tour guide, with whom he is likely to share his dislike of vegetables, especially anything green, and his love of Cheetos. After graduating from university, Valdes served two years of compulsory military service as a member of the special forces unit of the Cuban Revolutionary Armed Forces. The potential of his dream of becoming a pilot seemed possible for the first time, until he was told he was too tall to fly a Soviet era Cuban military plane. Although Valdes has garnered more economic opportunity working in tourism, he acknowledges the limitations of a Cuban private sector without normal levels of economic engagement from the U.S. Since President John F. Kennedy implemented the economic embargo in 1962, trade has been restricted between the U.S. and Cuba. Despite investment in the Cuban economy from other companies in countries not bound by the embargo, the future success of Cuba’s private sector will also depend significantly on U.S.-Cuba relations. Cubans can’t do it without the U.S., nearly 60 years after the economic embargo. “Our biggest barrier to our system and social programs is our relationship with the U.S.” said Valdes, noting the detriment of the absence of a relationship with an economic powerhouse like the U.S.
Master’s student Daniel Borges also thinks a joint effort between governments is necessary to create a fully functioning private sector. Borges is set to graduate in June from the University of Pedagogical Sciences in Havana, with a degree to teach advanced English He will then spend two years teaching in state or military schools as part of his social service, a required activity for all Cubans to pay back the government for free education. As a student, he works three days a week as a student teacher in Cuban public schools, where he makes $8 monthly. Unlike the average 23-year-old Cuban, Borges has had more access to the U.S. as a member of a diplomatic family. His mother and father were Cuban diplomats to the U.S., which meant Borges attended elementary schools in Washington, D.C., and New York until he was seven. It was there he first developed his tastes for American music, specifically old rock and blues. “We’ve made mistakes, and it’s our fault,” said Borges. “No one is on the same page as the government, but they’re not against them, they’re in the middle.” Borges recognized the failure of the Cuban government to provide for its people, while acknowledging their efforts for progress. As a young person, his quest for prosperity mirrors millennials outside of Cuba. “Most Cuban youth are looking for what the whole world is looking for, an opportunity to develop ourselves, as professionals, and as human beings at what they like and become good at what they do,” said Borges. With his degree, Borges can continue to act as a private tutor. As a teacher in Cuba however, his only option is to teach in state-run schools and earn a state salary. Yoanszy, a journalist and student, doesn’t yet know what his role can be in the private sector. Caroline Tanner/MEDILL. Although he recognizes its shortcomings, Cuban journalist and student Yoanszy, who asked to be identified only by his first name, envisions navigating his professional career as a member of the private sector. He is frustrated with the inability to put his university degree to work in the private sector. Unless the private sector is further expanded, he feels the time he spent working for his degree will be a waste. 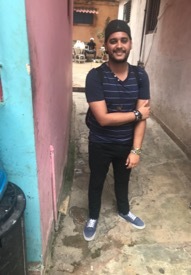 Yoanszy is a fourth-year studying towards a management and communication of heritage degree at the University of Havana of Archeology, a college northwest of central Havana. He is also a photojournalist for a local newspaper. Despite his desire to stay in Cuba, he views his path in the private sector with caution, particularly whether or not even a private sector salary is enough to live. Valdes still dreams of being a pilot and hopes to attend aeronautical school in the U.S. in the next few years. Young Cubans, like Valdes, will continue to craft their futures, with or without fiscal incentives from the government.